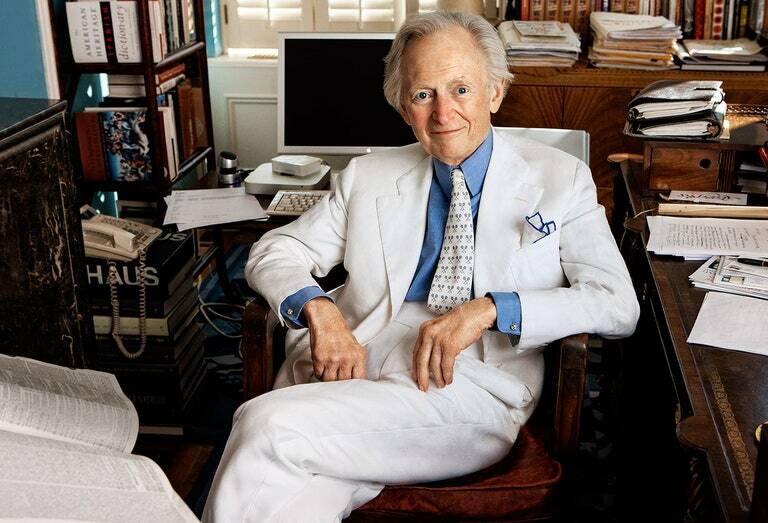 As per report award winning writer and journalist Tom Wolfe, who is noted for works like "The Bonfire of the Vanities", "The Right Stuff" and "The Electric Kool-Aid Acid Test" has passed away in the US, he was 88. Meanwhile Wolfe who pioneered "new journalism" passed away in Manhattan on Monday; his agent confirmed the news to the New York Times on Tuesday. He had been hospitalized with an infection. Accordingly Wolfe, who began working as a journalist for the New York Herald Tribune in 1962, was a pioneer of "new journalism", which melded traditional reporting methods and literary fiction techniques. He was born in Richmond, Virginia, in 1930, Wolfe attended Washington and Lee for undergraduate and Yale for his Ph.D. before moving to New York in the 1960s. Earlier Wolfe worked as a reporter at the Springfield Union in Massachusetts and as the Latin American correspondent for the Washington Post. Meanwhile his first book "The Kandy-Kolored Tangerine-Flake Streamline Baby" was a collection of essays originally published in Esquire magazine, while the stories have no connecting theme, this is the first book that gave early examples of New Journalism. Furthermore Wolfe is survived by his wife, Sheila, and two children, Alexandra and Tommy.